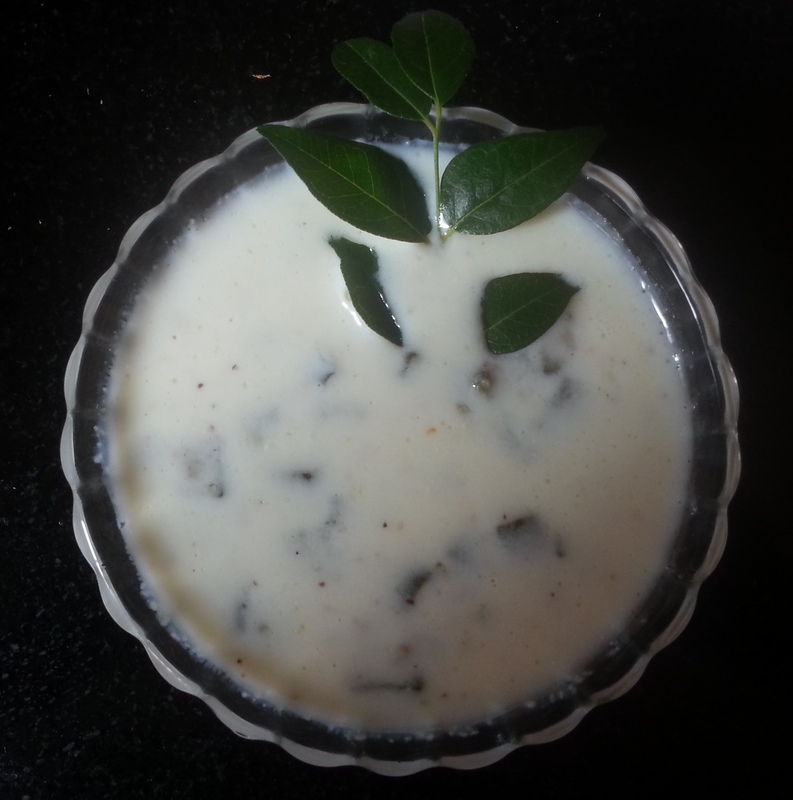 This ultra-simple dish is a signature recipe of the western ghats of Karnataka, South India. Being the gravy kind, it sits in style by the side of rotis but you can easily shift sides and team it with steaming hot white rice. Using vegetables for making saasve is optional but ground raw mustard is mandatory. In this recipe, we have used Lady’s Finger, selecting the tender ones, a humble vegetable that is low in calories, high on fibre and dense with nutrients. Wash lady’s finger. Drain the water, let the vegetables dry. Chop them into fine round slits and keep aside. Heat oil in a kadai. When hot, start putting ingredients listed under seasoning, one after another at few seconds intervals (in that order). Now put the chopped vegetable, saute it at intervals. Cover it partly with a lid retaining the ladle for sauting in the kadai itself. Remove the lid only when you have to saute. Cook till the bhindi (lady’s finger) turns soft. When done, allow it to cool. Finish grinding using ingredients listed under “For grinding”. Transfer the ground mixture to a bowl. To this ground mixture, add ½ litre curds and 1 tsp salt. Now add the cooked and cooled bhindi to the above and mix well. Lady’s finger saasve is now ready.